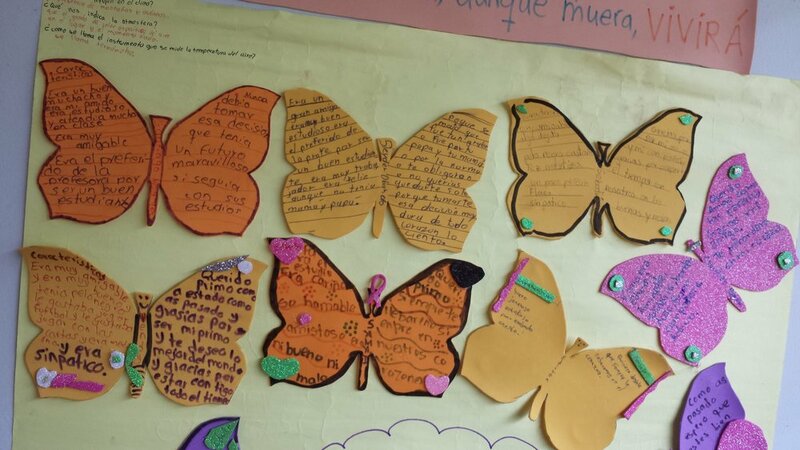 In October and November of 2015, four students from a local family in the local elementary/middle school in Chontal committed suicide. 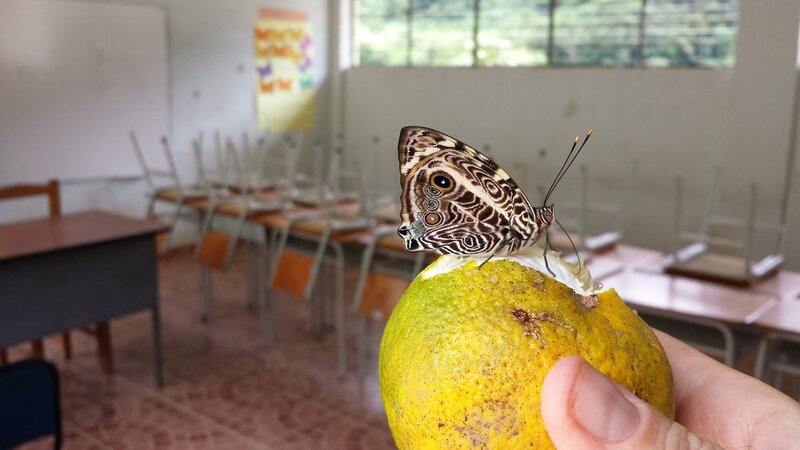 The faculty and the local people were at a loss at what to do, and although after I arriving in December I had offered to assist them if they wanted to memorialize the students, they were reluctant to react. In January, another student tried to commit suicide. A teacher came to me at night, and decided she would be open to doing anything. 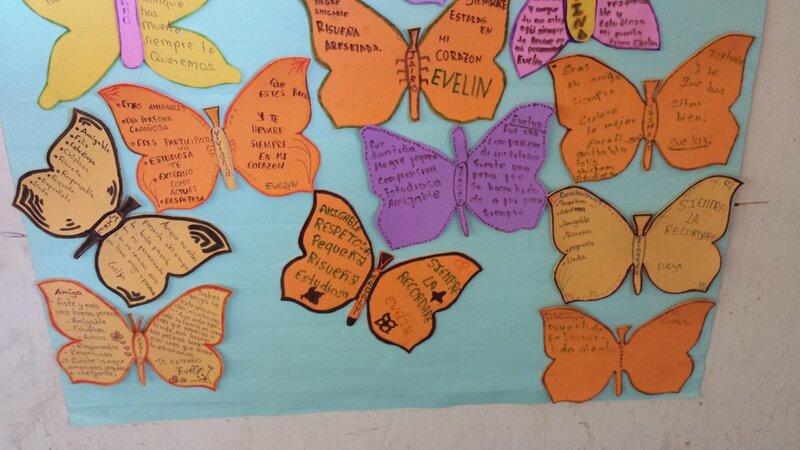 We met the next morning with two other teachers, and the idea for the butterfly memorial was born. The next day, I entered a class, and after doing a bit of English, transitioned the conversation to the recent tragedy. I shared about my own losses, and how I learned that when I memorialize someone who has died, I feel their presence with me. In fact, just like the caterpillar turns into a butterfly, we don't ever leave - we transform. We are still present, just not recognizable. And the church down the street is a memorial to my mother, and I feel that she is always with me. 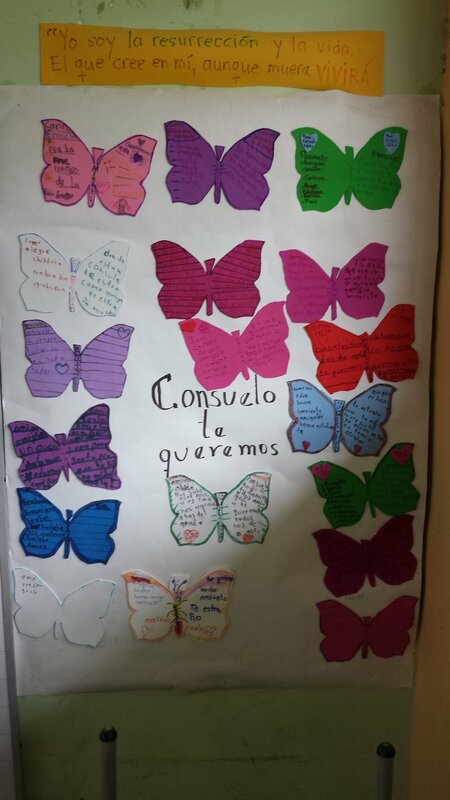 I offered that we could if they wanted to, make our own butterflies, and describe our friend on one wing, while putting our own personal message to them on the other. I finally finished with a question: would you like to do that? It was a universal and resounding "yes". 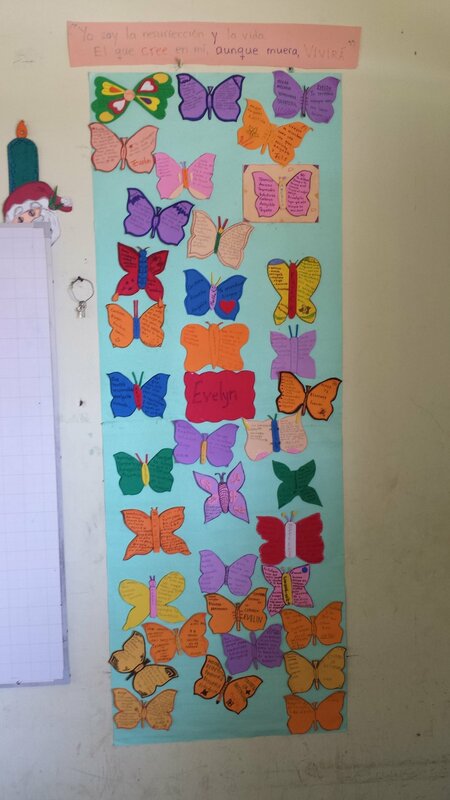 The butterfly making spread from classroom to classroom as all the teachers one by one wanted it for their own. These memorials filled the walls in the classes of the deceased students, and a big weight was lifted from the school atmosphere.